The ideal home if you're looking for that next step up on the property ladder. Situated at the end of a quiet cul-de-sac is this very well presented three bedroom semi-detached home. 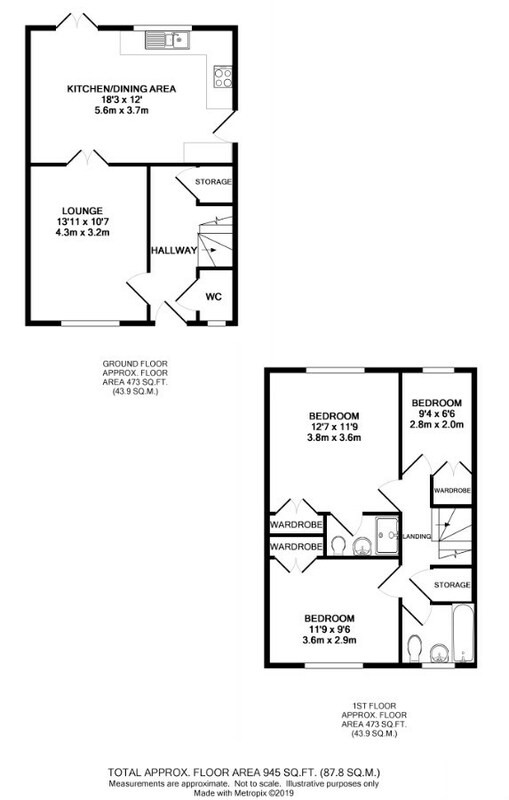 The ground floor presents a lounge, generously sized kitchen/dining area and downstairs cloakroom. The first floor has three bedrooms, all boasting fitted wardrobes and the master gaining the advantage of a contemporary style en-suite shower room. The family bathroom and ample storage also lends itself to the first floor. Externally, to the rear, a neat and tidy well kept rear garden. To the front, off road parking and plenty of kerb appeal. Call the Greyfox Sales team where one of our friendly staff will be happy to book your viewing.